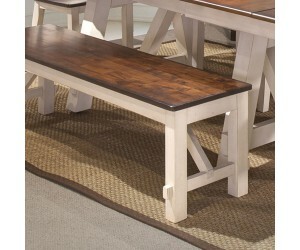 Embrace a relaxed farmhouse style with Bernard&apos;s rectangular dining table from Carolina Furniture. 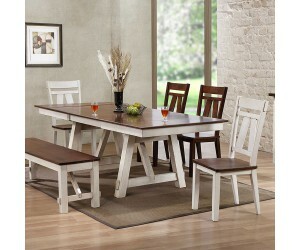 A rustic cherry finish top and off-white finish saw horse style trestle base. Additionally, the refectory dining table has two self-storing extensions that extend the table from 66 inches long to up 94 inches long with both leaves. 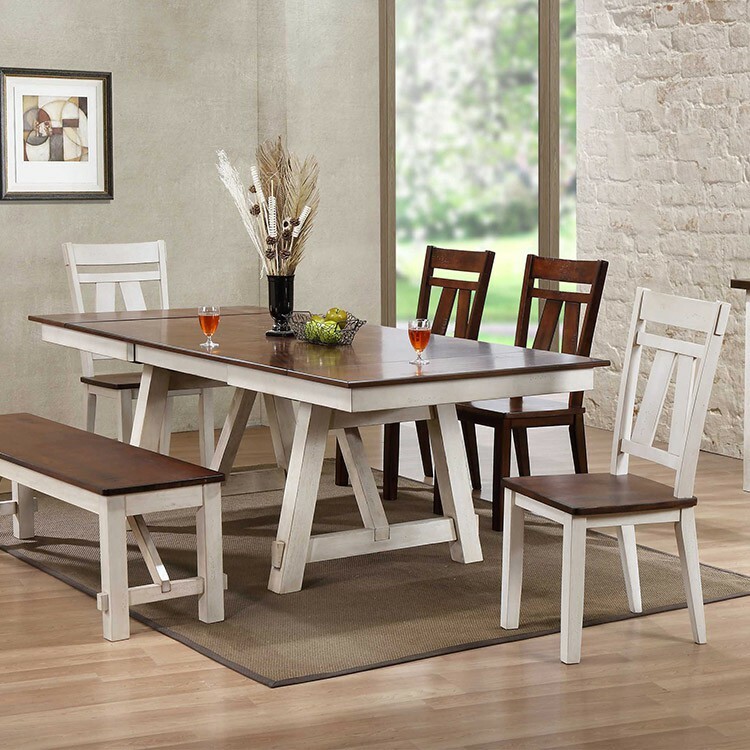 The simple farmhouse style of the splat back dining side chairs give them instant character for your home&apos;s dining space. 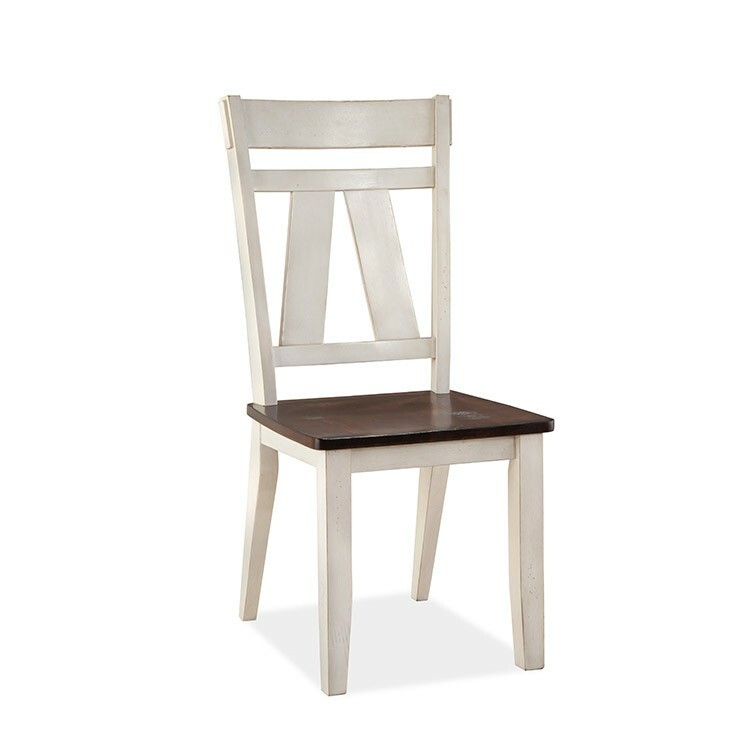 The rustic cherry finish seats complement the off-white finish on the rest of the chairs.